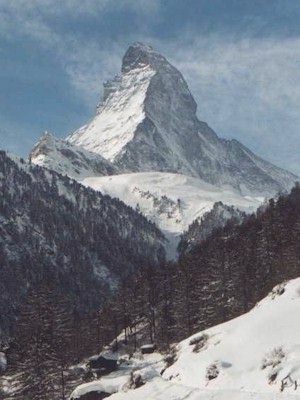 Both mountains are very popular with mountain climbers, and both have apparently a very similar level of difficulty, except that the air gets a little thinner on top of the Matterhorn. 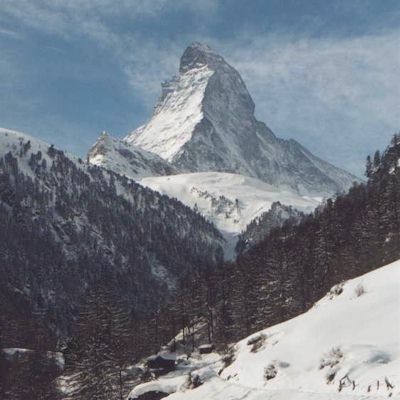 The Matterhorn is easily accessible by train from Brig to Zermatt and, if a closer look is desired, by Gondola right to the base of the mountain. The base of Mt. 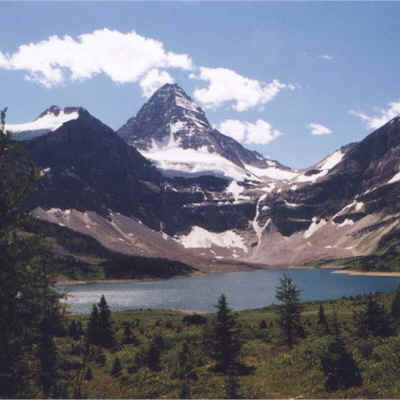 Assiniboine can be reached by a ca. 30 km, 2 to 3 day hike (one way) from Sunshine Village near Banff, or in about the same time from the Mount Engadin Lodge in Kananaskis. As a third option, it can also be reached by helicopter, which is a bad way of doing it as the hike in and out is absolutely gorgeous.